New York City, center of the universe. The city that seems to have anything and everything. Whether you're looking for a bagel at midnight or a party to go to on a Wednesday morning, it seems that almost anything is only a subway away. As winter rolls into New York City, the vast amount of golf courses in the area go into hibernation mode and us golfers are left dreaming of teeing it up in Hawaii and California with the pros this time of year. The past few seasons have brought along some new indoor golf options which are sure to keep you fine tuned over the winter so we can come out strong in the springtime. Below is a list of three different indoor golf options that you have in New York City and the surrounding area. Golf & Body NYC is a private golf club located in Midtown Manhattan that offers Golf and Fitness to professionals looking to get in practice without getting to the course. GBNYC has seven state-of-the-art golf simulators loaded with the top technology and over 50 choices of courses. In addition to golf, GBNYC has a fitness center feature professional grade proggraming and experience trainers to allow member to work on getting fit and enchaing performance in preparation for the golf season. Where else can you be encouraged to hit it into the water. 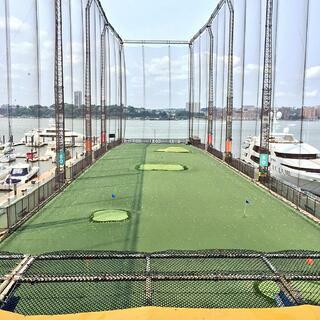 The Golf Club at Chelsea Pier is New York Cities premier golfing destination. The driving range features some of the top technology with an automatic ball tee-up system. In addition to the driving range, Chelsea Piers has Full Swing Simulators with over 55 Championship courses to choose from and turfgrass greens to practice your short game. 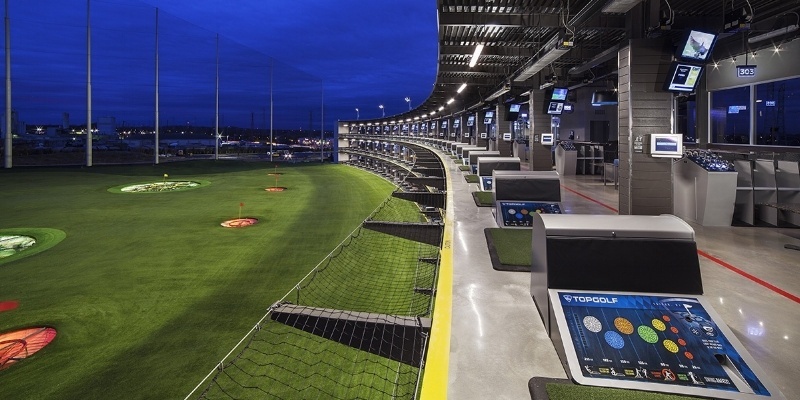 Located just across the Hudson River, Top Golf Edison in the New York Area's first Top Golf Experience. With Heaters in each hitting bay that can accompany up to six people, you can have a blast with your friends while competing in one of 8 separate games. Don’t forget to order foods and drinks up to your hitting bays, hot chocolate may go a long way during these cold months. Even with the cold-weather disadvantage many New Yorkers have, when compared to their Florida, Texas, and California counterparts, the indoor golf options allow us to keep our games sharp and lessen the amount of rust to work off when spring hits. Once your game is ready, show off that sweet swing at the Nextgengolf City Tour tournaments taking place in New York. Three tournaments from June to August for golfers in their 20s and 30s. Check out the full schedule here. **Jason Drucker is the New York City Leader for the Nextgengolf City Tour.